Captain Tom’s guest with a beauty from earlier this week at the Bell Bouy. This past week we split our efforts between the Bell Buoy for chinook and West Van for coho and pinks. Overall both locations had a few good days and some slow days. Hopefully things will get a little more consistent as we move into August. Off the Bell Buoy we have been getting chinook from 40-80 on the riggers, with 50-60 been the go to area, as per usual for these Fraser bound fish. Bait is generally the best producer, so make sure you stock up on your favorite anchovy or herring teaser heads. As we get into August this fishery will become more consistent and will peak around the 3rd week of August. 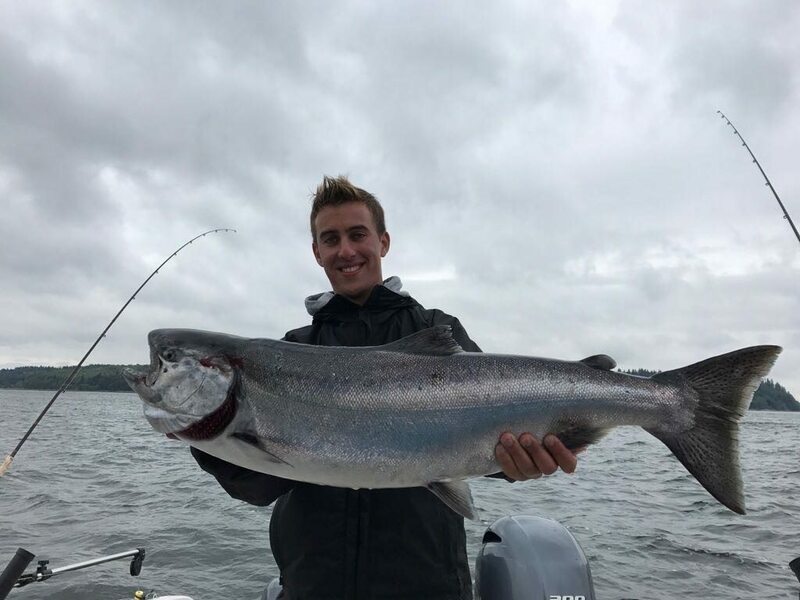 On the other side of the harbour we have been fishing from Point Atkinson all the way down to the Cap Mouth looking for Capilano coho and migrating pink salmon. So far it has been pretty slow for this time of year. One would think there should be more Squamish and Indian River pinks around by now. Perhaps they are late, or maybe we are looking at a diminished run size this year, time will tell. For the coho we like to use white UV hootchies on about a 28 inch leader behind your favorite shallow water flasher that should be UV or chrome finish. The pinks will bite this gear as well, even the odd chinook. Keep your gear shallow, 20-50 on the riggers for the most part and keep your speed up as these fish like a faster action. All smiles during a day on the water with Captain Eddie. 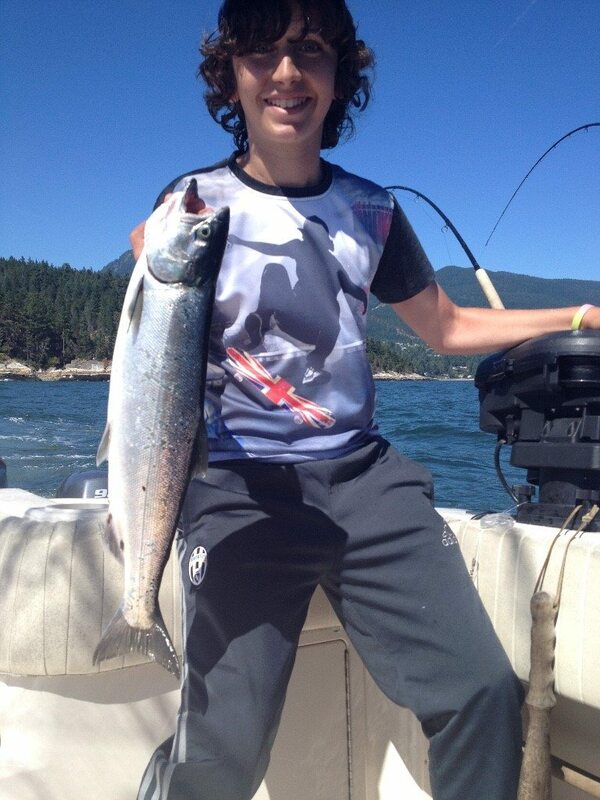 We have also heard of a few chinook off South Bowen, so this could be worth a try if the winds cooperate. There are still some good size bait balls in the area and the chinook are usually not too far behind. If the Bell Buoy or West Van are slow for you, fishing from Cowan to Roger Curtis would be a good back up plan.